Usually, Cricket is the game of skills and talent, that means you don’t need to have a big body structure or huge height. 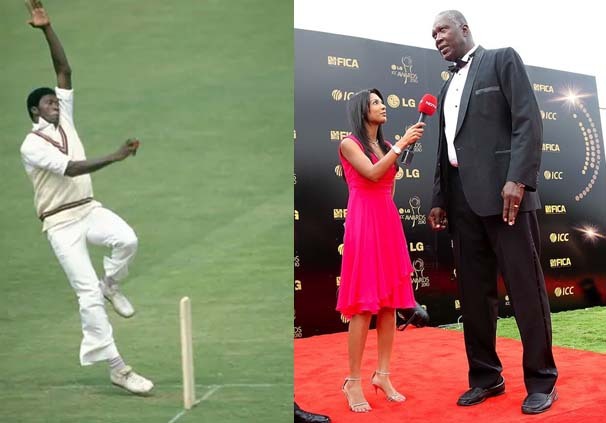 The Tallest Cricketers have always been impactful to the game. Cricketers like Sachin Tendulkar with a height of 5.5 feet have been way more successful than many others who are taller than him. Here we have compiled a list of all-time Tallest Cricketers in the history of gentleman’s game. 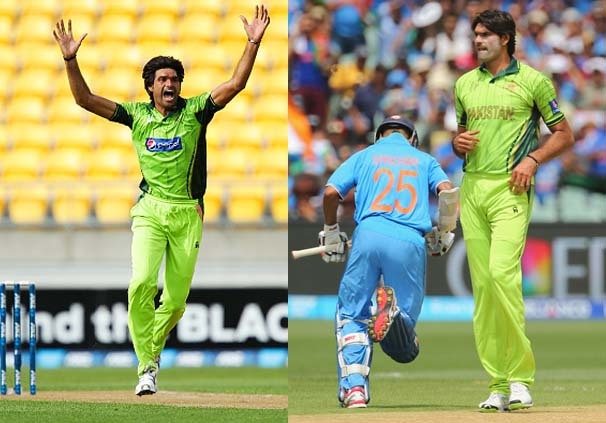 Mohammed Irfan, the 7’1” lanky fast bowler from Pakistan, is by far the Tallest Cricket Player ever to have featured in the game of cricket. He has played his first ODI match back in 2010 against England. After playing 2 ODIs, he gets out from the national team. But, he came back very strongly against India in the tour in 2012/13 with lots of promises. And now, he looks like a mature left-arm fast bowler who bowls 140 km speed consistently. Most impotently, he can bowl in a very good length. He also gets a lot of bounce from the wicket because of his height. Known as the “Big Bird” from Barbados, the menacing West Indian speedster ruled the roost during the Caribbean halcyon days in the seventies and eighties. He is known for the wicked yorker that speared in at the batsman’s feet from a steepling 10 feet or so. Often his hand would be above the sightscreen too, just to make it even more difficult for the hard-pressed batsman. Garner polished England off in the 1979 World Cup final. He has ended his career with 146 ODI wickets at a tremendous average (18.84) and an even more tremendous economy rate (3.09 runs per over). In tests, his 259 wickets cost less than 21 apiece. Peter Robert George is an Australian Test cricketer. A right-arm fast-medium bowler, George plays his first-class cricket for the Southern Redbacks. He has played a Test match for Australia. With a height of 203cm, he is one of Tallest Cricketer in history. Besides, he also earned his spot as the tallest ever Australian cricketer along with Bruce Reid. William Boyd Rankin is an international cricketer from Northern Ireland. He has played international cricket for both England National side and Ireland. He is a right-arm medium-fast bowler. 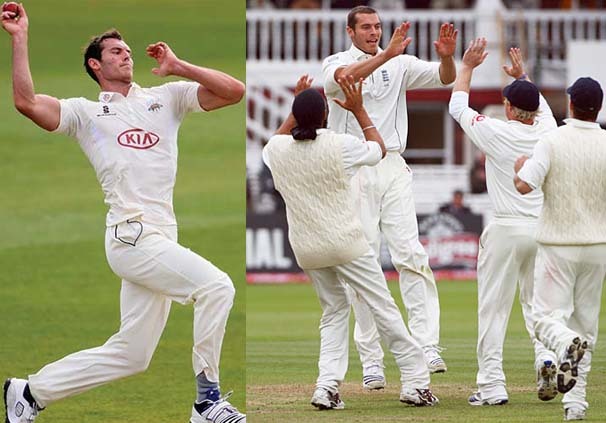 Rankin is a tall bowler who stands at 6 ft 8 inches and has a distinctive bouncing action in his bowling. He gets lots of bounce because of his 6.8 feet height. He debuted for England against New Zealand in a T20 match on 25 June 2013. Later, he has earned his call-up in the England squad for the 2013-14 Ashes series in Australia. This fast bowler is renowned for his first-ball-wicket in a first-class match against New Zealand in the year 2000. Born on 2nd September 1981, Tremlett made his international debut for England in a One Day International match against Bangladesh in 2005. Tremlett has been a great bowling package for the English side but injuries have been a consistent issue with the lanky fast bowler. And, that making it difficult for him to consistently be a part of the England international squad. Tremlett participated in England’s victory in the 2010–11 Ashes in Australia. He is a competent number-8/9 batsman, with seven first-class fifties to his name. Besides, he has a strong arm from the deep. English cricketer Finn is a right-handed batsman and a right-arm fast medium bowler. At the age of 16, he became Middlesex County Cricket Club’s youngest ever debutant in first-class cricket. He made his England Test debut in 2010 against Bangladesh. Finn is a very tall bowler who can generate an extra bounce, that trouble the batsmen big time. with a height of 6 feet and 7 inches, he is the 2nd tallest from England and 5th Tallest Cricketer of all time. 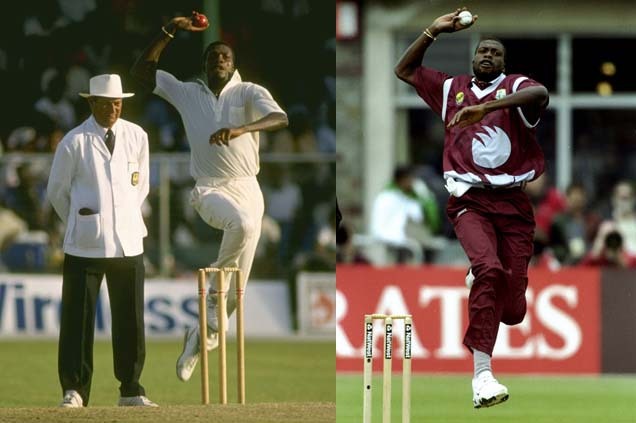 Curtly Ambrose, the gentle giant, standing at 6’7” was the spearhead of the West Indian bowling attack from the late eighties to the turn of the century. About half an inch shorter than Garner, but about twice as feisty, Ambrose, from Antigua, also had a neat line in yorkers. He proved next to impossible to slog. He finished with 630 international wickets, 405 of them in Tests. During his days, he has become infamous for being notoriously reluctant to speak to journalists. One of all-time best fast bowlers was chosen as one of the Wisden Cricketers of the Year in 1992 after his retirement. He was entered into the International Cricket Council Hall of Fame and selected as one of West Indies all-time XI by a panel of experts. Sulieman Jamaal Benn is a West Indian left-arm spin bowler who plays international cricket for the West Indies and first-class cricket for Barbados. 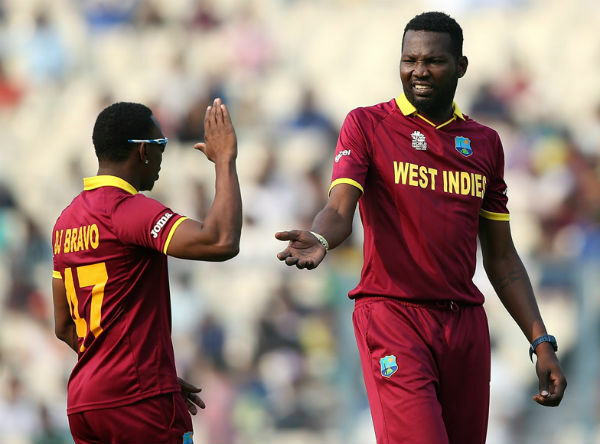 Benn has represented West Indies in 17 tests and 25 ODIs. He also played 17 T20 matches for west indies. Sulieman is one of the tallest guys who played international cricket. with Height of 201 cm, he is the 8th Tallest Cricketer in history. Besides, he also deserves this place for being the tallest spin bowler in history. Jason Omar Holder is a Barbadian All Rounder. His height is 6 ft 7 inches. Holder made his ODI debut for the West Indies against Australia in January 2013. Just a couple of days after making his international debut, Holder was signed up by the MSD’s Chennai Super Kings in the IPL auction, at his base price of $20,000. Holder also made his T20I debut against New Zealand on 15th January 2014. Thomas Masson Moody aka “Long” Tom Moody, so nicknamed for his 2.01 meter (six foot seven inch) height, whose colossal frame of 6’7” could intimidate any batsmen, was only one of the two Australian cricketers along with Steve Waugh to have been a part of two World Cup winning squads, in 1987 and 1999. He is also the Former Head coach of the Sri Lankan cricket team. Most recently, he has done his duty as the coach for the IPL team Kings XI Punjab. Without any surprise, he deserves his spot in the list of tallest cricketers. 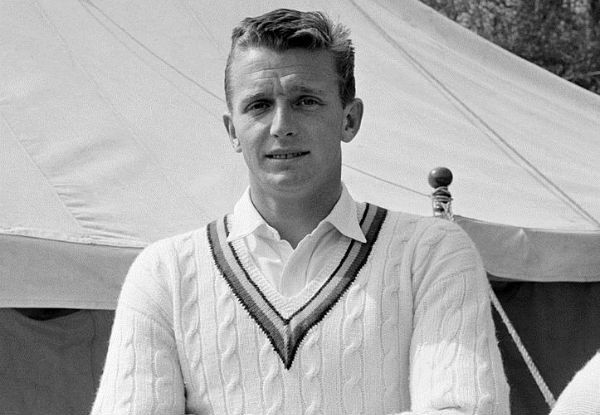 David Larter, born John David Frederick Larter, on 24 April 1940 in Inverness, Scotland is a former Scottish cricketer, who played in 10 Test matches for England from 1962 to 1965. A six foot seven inches right arm fast bowler with a long run-up, Larter played his earliest cricket in England with Suffolk in the Minor Counties Championship before qualifying for Northamptonshire. The cricket writer, Colin Bateman, noted, “David Larter was a complex character. There were days at Northampton when he just would not fancy bowling. But when the mood took him and his 6ft 7in physique was in perfect working order, he was a frighteningly good fast bowler, as a career record of 666 wickets at 19 apiece suggests”. Peter Fulton has earned the nickname of “Two meter Peter” for obvious reasons. He has made his Test debut against the West Indies in March 2006. 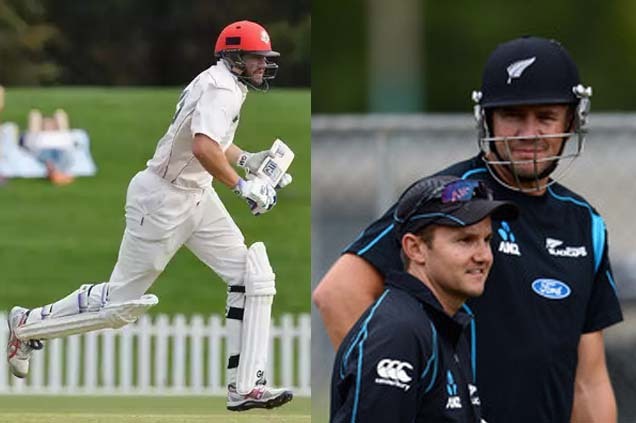 The robust built New Zealand cricketer, at 6’6, is the only 2nd batsmen to have been featured in the list after Tony Greig. However, he did not do justice to his potential and just faded away after a brief international career. Fulton’s career highlights include scoring 301* against Auckland at the Hagley Oval in Christchurch in 2003 which is the highest maiden first-class century by any New Zealand batsman. And without any doubt, he deserves his spot in the list of tallest cricketers. Anthony William “Tony” Greig (6 October 1946 – 29 December 2012) has earned his place as the most self-confident player. The 6ft 7.5″ allrounder, Greig, played 58 consecutive Tests for England between 1972 and 1977. After his international career, he became one of the prime movers in Kerry Packer’s World Series Cricket. Greig was a fine batsman, capable of stylish centuries studded with big hits. After retirement, he was an equally forthright TV commentator. Tony Greig died on 29th December 2012 suffering from cancer at the age of 66. Without any doubt, he deserves his place on the list of tallest cricketers. 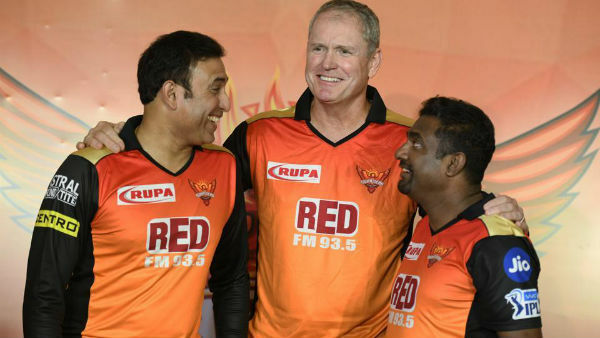 Courtney Andrew Walsh has earned his place as one of the greatest fast bowlers in Cricket history. Courtney Walsh represented the West Indies Cricket Team from 1984 to 2001. He also captained the West Indies in 22 Test matches. He is best known for a remarkable opening bowling partnership along with fellow West Indian Curtly Ambrose for several years. 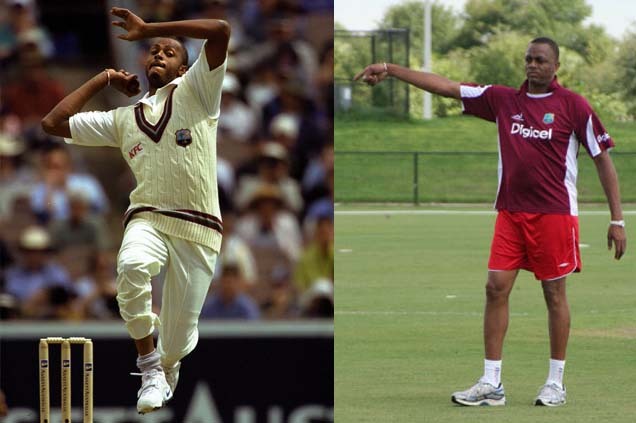 Courtney Walsh was the 1st Bowler who Surpassed the 500 wickets Milestone. With a height of 198 cm, he is one of the Tallest Cricketers in History. 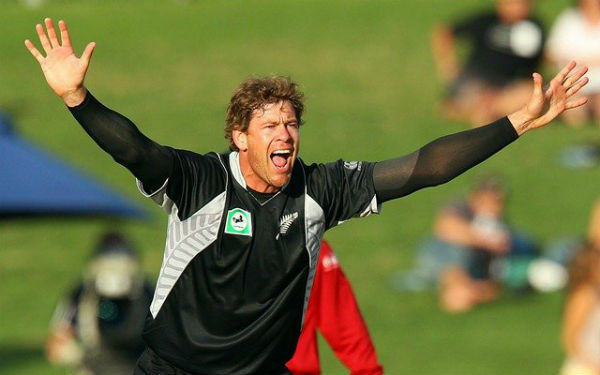 Jacob David Philip Oram has earned his place as one of the greatest New Zealand cricketers. The burly medium fast bowler, with his massive height of 6’6”, could obtain a great deal of purchase from even dead tracks. His abilities with both bat and ball have made him a regular fixture in the New Zealand International sides. He played for the Manawatu cricket team in the Hawke Cup. Besides, He played for the Rajasthan Royals in the Indian Premier League. He is one of 36 New Zealand Test cricketers to have scored 1,000 runs and one of just six New Zealanders to have reached the double of 1,000 ODI runs and 100 wickets. Morne Morkel is a right-arm fast bowler with “genuine pace” according to former South African fast bowler Allan Donald. Besides, he has also earned praises for being a useful lower order left-handed batsman. However, after a poor run of form, Morkel was dropped from the Test team in 2009. Surprisingly, his elder brother Albie Morkel took his place. He then regained his Test place in 2010. 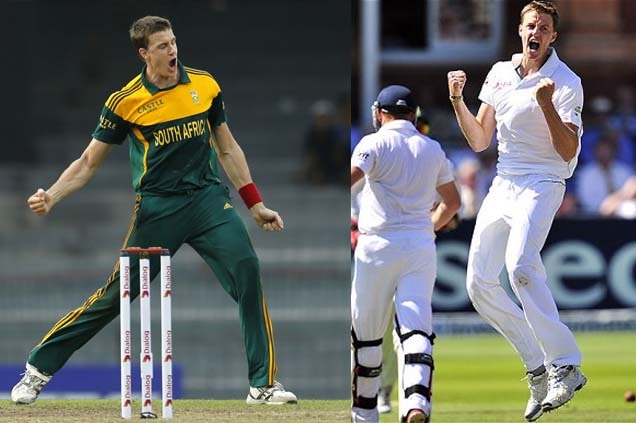 The huge 6’5” South African is one of the most dreaded fast bowlers in world cricket today. The younger sibling of allrounder Albie has made the most of his height by bowling extremely fast and extracting awesome bounce off the pitch. Do mention us if we have missed any of the Tallest Cricketers in the History to get on in this list.